On all Riverview roofing, Dynamic Roofing Concepts goes above and beyond by treating customers fairly and with the utmost respect. When our contractors compete work on your home, they will conduct a thorough cleaning of the area as well as a detailed walk through to make sure nothing has been overlooked. In fact, our contractors don’t leave the property until you’re satisfied as well. 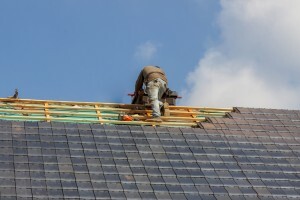 If you’re looking for roofers in Brandon, FL, you can’t go wrong with our fully trained crew. With every roofing project, we take the time to get it right. We value the level of quality we’re able to give our customers over the quantity of customer requests we are able to fill at any given time. When you contract with us, you’ll be assured that our workers are installing materials correctly and with care. Some companies only know how to install certain types of roofs. Workers at Dynamic Roofing Concepts, Inc. can install and repair a variety of roofs including shingle, metal, tile, and cedar shake. We also provide service with installing skylights and chimney caps. We provide thorough roofing services that go beyond the basics. If you’ve been considering a roof replacement or repair, our roofing company in Odessa, FL and the surrounding areas can give you the service you need. For general questions, to schedule an inspection, or to get a free estimate with no obligation, call us at 813-257-9355. Our contractors will assist you with any roofing question or concern, from cost to material comparisons. A quality roof protects your home, and we help you keep it functional and working its best.